I've finished writing the rough drafts for my Princess Hats, just in time for my crafty friend Hazel to test a few more. She's already tested the premmie hat and we found a couple of errors which I was able to fix and update the pdf download on Ravelry. 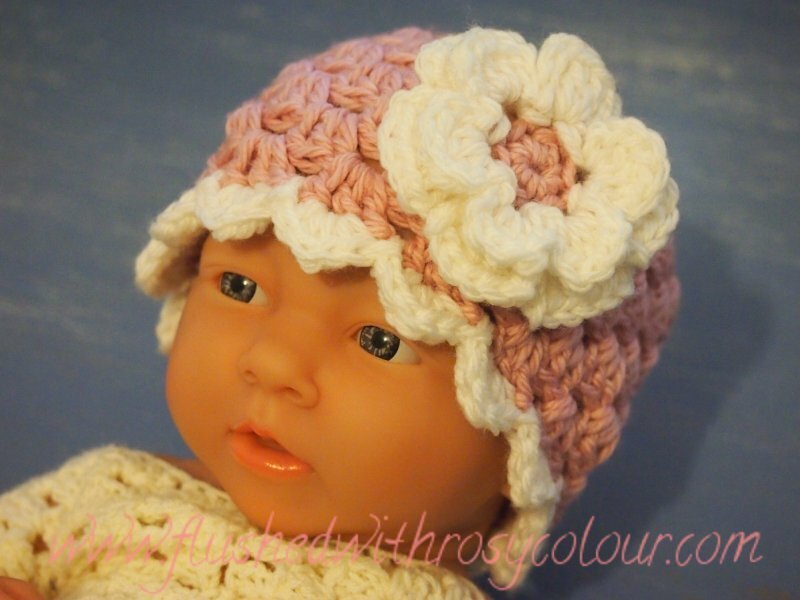 this "Pink Angel" newborn hat is pink with white trim. To be sure the newborn pattern was the best I could make it, I quickly did up this test hat. This one is a "Pink Angel", with pink as the main colour and white trim. 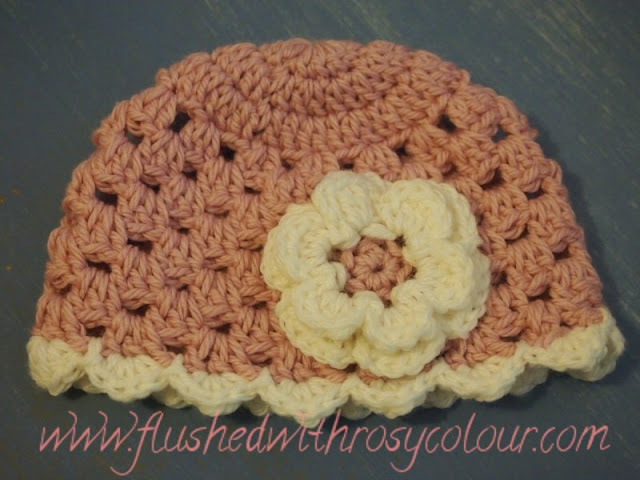 I chose to make an Daisy-centered Irish Rose instead of the smaller flowers to see what it would look like. I think its turned out quite well, don't you?